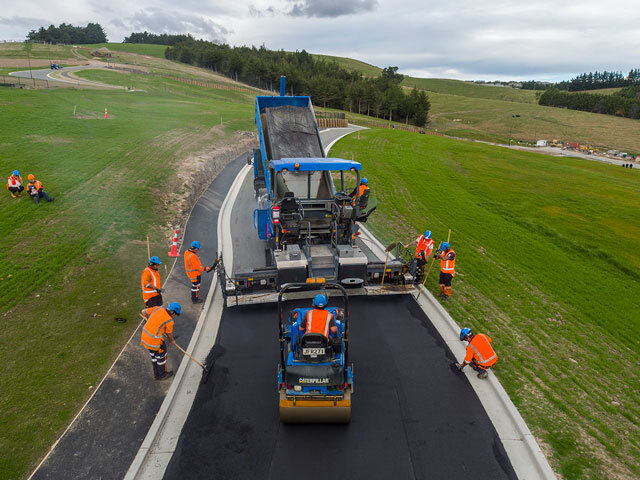 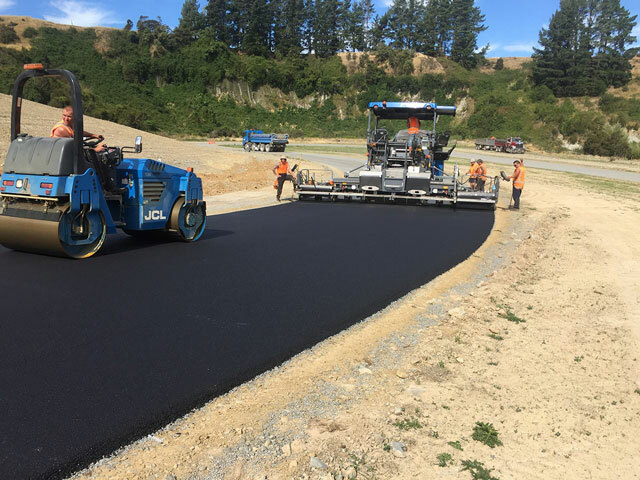 Road Surfacing - JCL Asphalt | Residential, Commerical Asphalt | Canterbury, Central Otago. 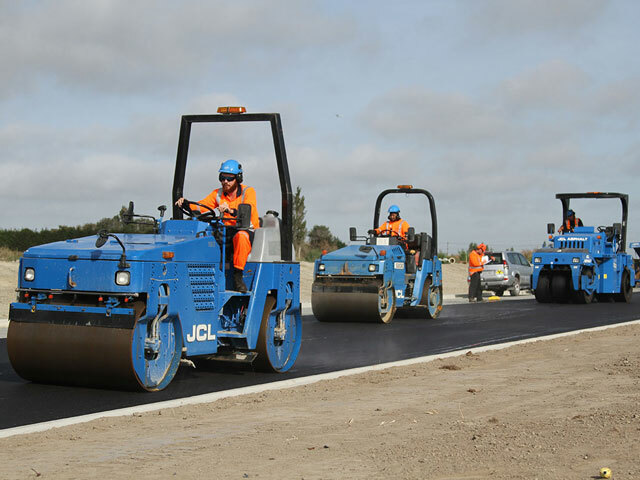 We’re known for the outstanding level of expertise we bring to each roading contract we deliver. 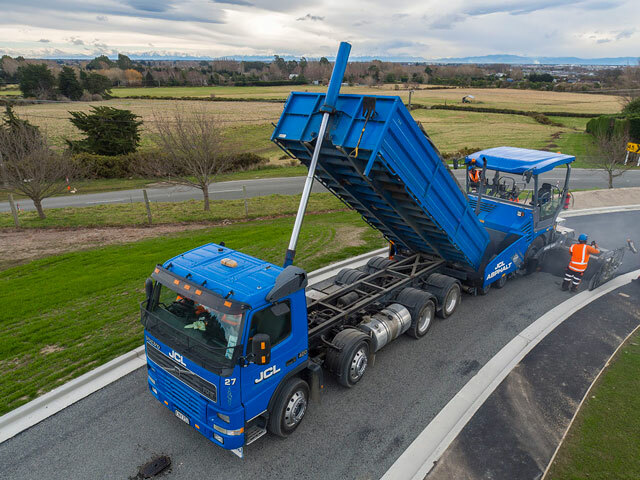 Our reputation as road surfacing specialists is well-deserved – like our business it’s built on resourcing projects with the best people and the best equipment to build the best roads. 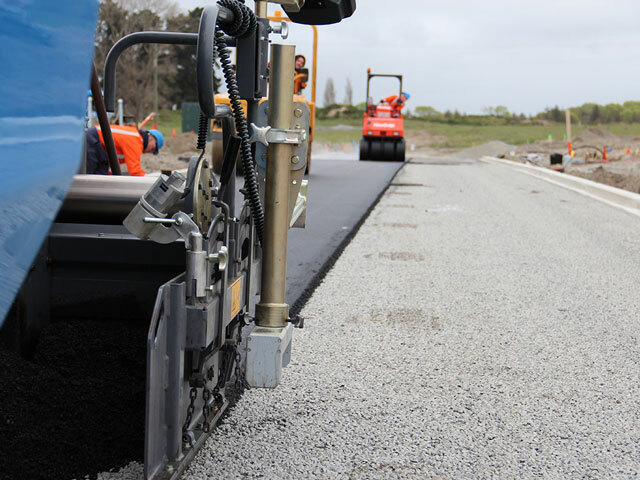 Our goal is to build roads which both look great and provide the smoothest possible ride. 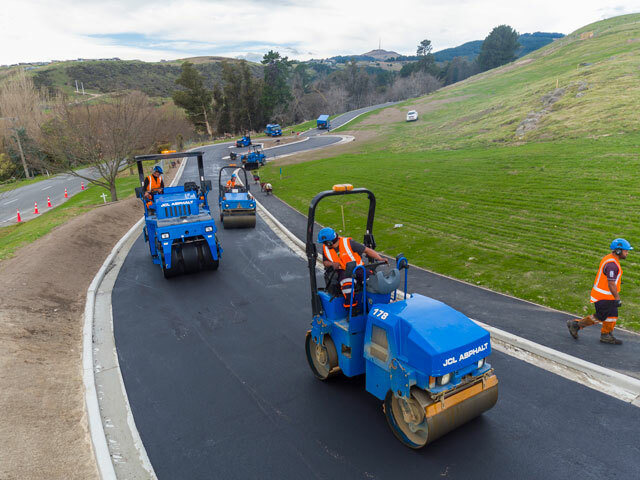 Our surfacing teams have more than 100 years’ collective experience in roading construction and access to the latest technologies and equipment. 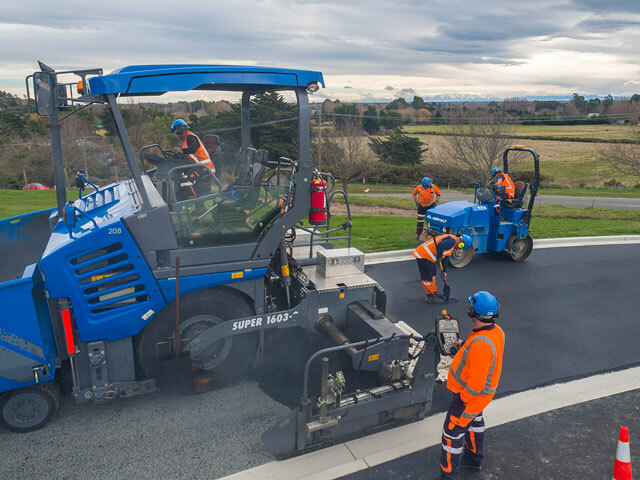 This includes a Vogele paver with the greatest capacity currently available in the South Island – it can pave up to 7.5m in one sweep. 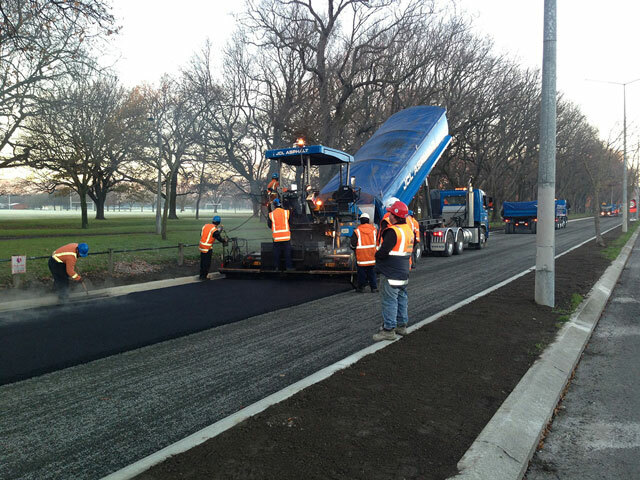 We’re able to dedicate this piece of equipment to our large scale projects. 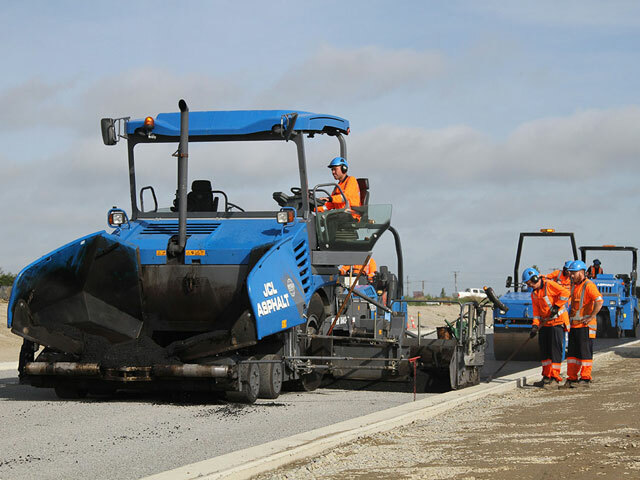 (We have smaller pavers in our fleet, which we deploy onto smaller projects). 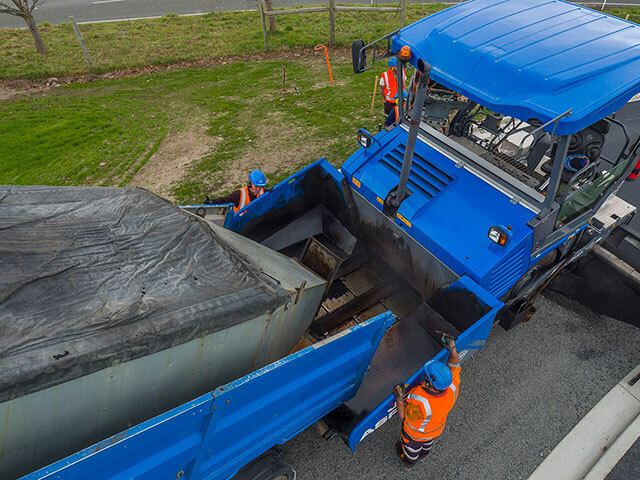 Our clients benefit from our ability to field the right people and the right equipment. 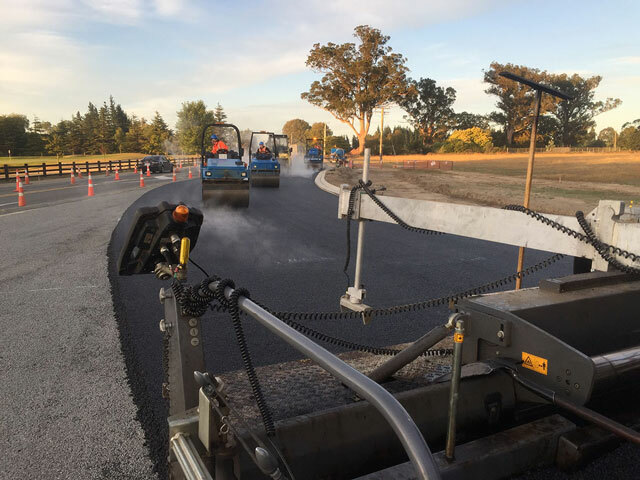 Whether the job is a residential subdivision or a local government roading project we construct roads which look as good as they ride. 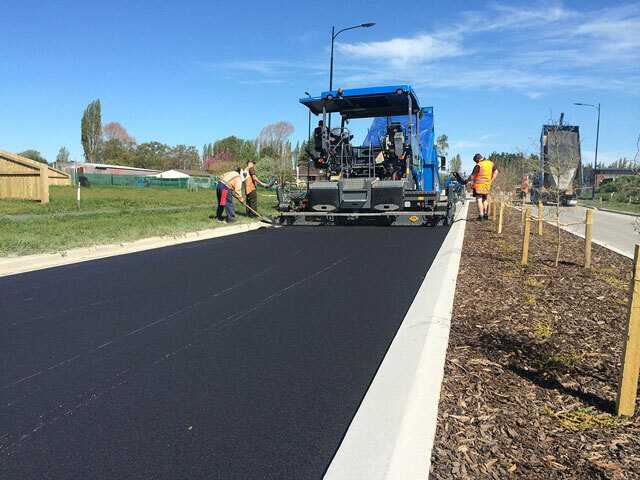 We’ve achieved this for numerous clients on contracts which include the Devon Park and Liffey Springs subdivisions and the rebuild of New Brighton Road for SCIRT.